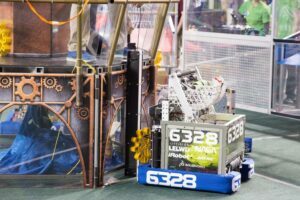 Mechanical Advantage 6328 completed our rookie season in 2017 at the World Championship in St. Louis! Our team qualified for the World Championship through our performance at the Granite State District, Southern New Hampshire District and New England District Championship events. Our team brought home 5 awards and a coveted blue banner in 2017, and ranked 10th overall in New England out of nearly 200 teams. Check out our 2017 season wrap video!